Home of MONEDA – the first asset-backed, redeemable, Stellar stable token. One of the first cryptocurrencies designed for mass adoption. It seems that only a handful of cryptocurrencies get all the hype and attention - we all know who they are. But do they really deserve it? For the most part they're slow, overpriced, unstable, and incapable of providing the features that are needed to serve as an everyday medium of exchange. Moneda is different. Built on the Stellar network, it's been designed to reward investors and to enable fast, economical transactions of any amount - big or small - even those under $1. Moneda has been built on the Stellar network, ensuring swift, seamless, scalable, economical transactions. 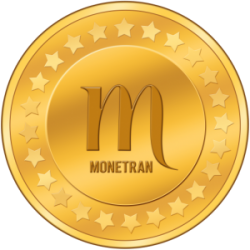 Monetran has issued tokens under SEC Crowdfunding regulations and is now available to US investors. Moneda is digital currency backed by a fully transparent, actively managed portfolio of financial assets. 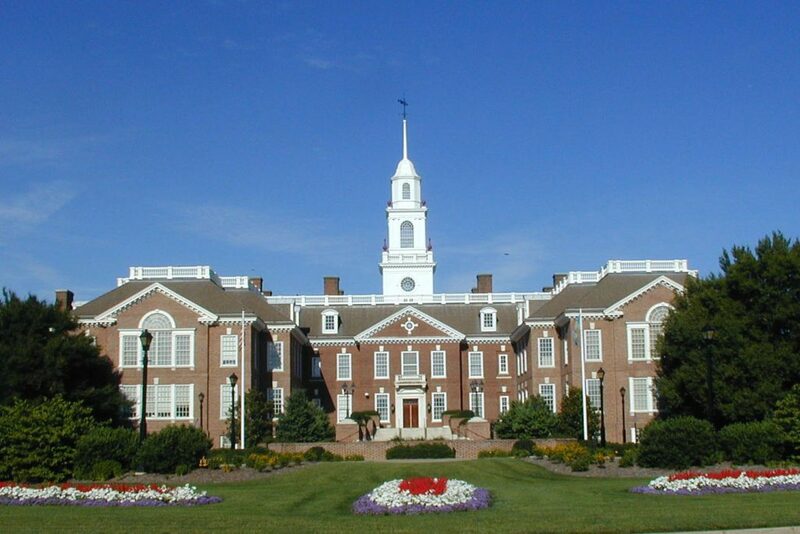 Moneda tokens will be redeemable for a percentage of the principal in the Fidelity Investments asset account. Monetran will always put investors' interests first and has engineered Moneda to consistently increase in price. Tokens will be purchased with profits from the asset account and burned, promoting higher prices. The top three cryptocurrences in existence today have a combined market cap of more than $200 billion – yes, billion with a “B.” However, they all share several alarming features. All of them are very expensive to use, none of them can enable micropayments, and not a single one of them are backed by anything of value. In addition, none of the leading tokens are redeemable, which is a big reason why they suffer from destabilizing swings in price. If all that isn’t enough, none can serve as a real store of value. 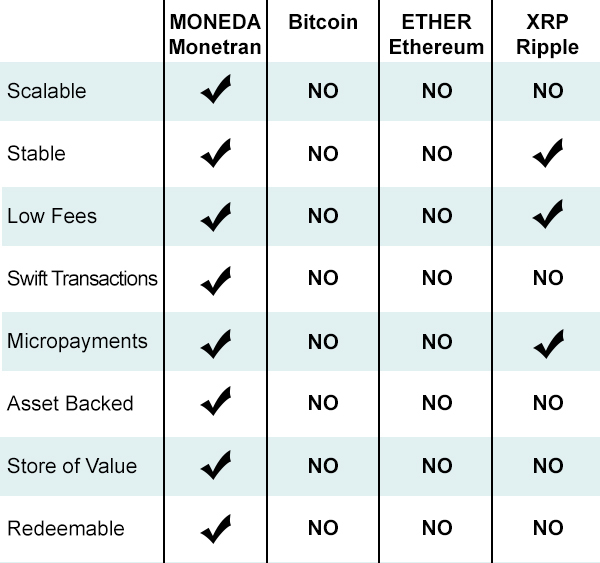 Moneda comes up big in every one of the categories that are necessary to make a cryptocurrency a solid investment. 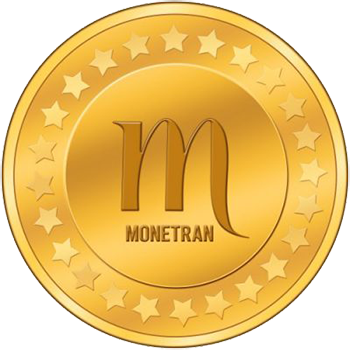 Monetran has a big advantage over the leading cryptocurrencies. Because they were established in the early days of digital currency, they cannot take advantage of the technology which was developed subsequently. In short, the Big Three may have been the first but, ironically, that is precisely what will always keep them from being the best. That title could someday belong to Moneda.